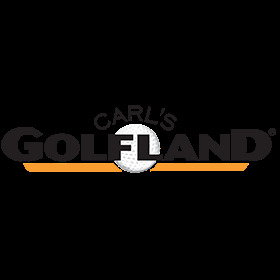 Save up to 40% on New Balance Golf shoes on sale at Carl's Golfland. We carry a great selection of discounted styles, including shoes for men and women. Choose from spikeless shoes or those with cleats, waterproof uppers, ultra-comfortable insoles, and so much more. Carl's Golfland is an authorized New Balance retailer, so you can be confident that our New Balance Golf shoes on sale are authentic, quality products that you can rely on. And we offer a low price guarantee! New Balance is known for their incredible comfort and trusted traction, letting you focus on your game and not on your shoes. Shop a variety of styles and colors, including colorful blues and purples, as well as classic whites and grays. Our customer service team is here to help with any questions you may have about New Balance Golf shoes on sale. Just give us a call at (877) 412-2757 and we will be happy to assist you.